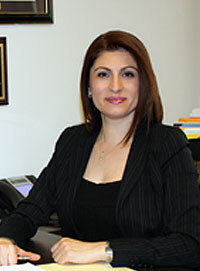 Aksakal Attorney at Law P.C., is a firm dedicated to Immigration Law. Located in the heart of Manhattan in Times Square, New York, we can represent clients applying for United States Visas, Green Cards and Citizenship from all over the world. With years of experience in the field of immigration law, you can utilize our expertise, experience and efficiency to prepare your case and speed up the process. Holds an LL.B. (Bachelor of Law) degree from Istanbul University School of Law. She also holds an LL.M. (Masters in Law) degree from Touro Law School, where she was appointed to the academic Dean’s List multiple times. She is admitted to the NYS Appellate Division, Third Department, the Southern and Eastern District Courts of NY and the Istanbul Bar Association. Our law firm is exclusively devoted to the practice of immigration law. This focus enables the firm to apply their full resources and energy to each individual case.